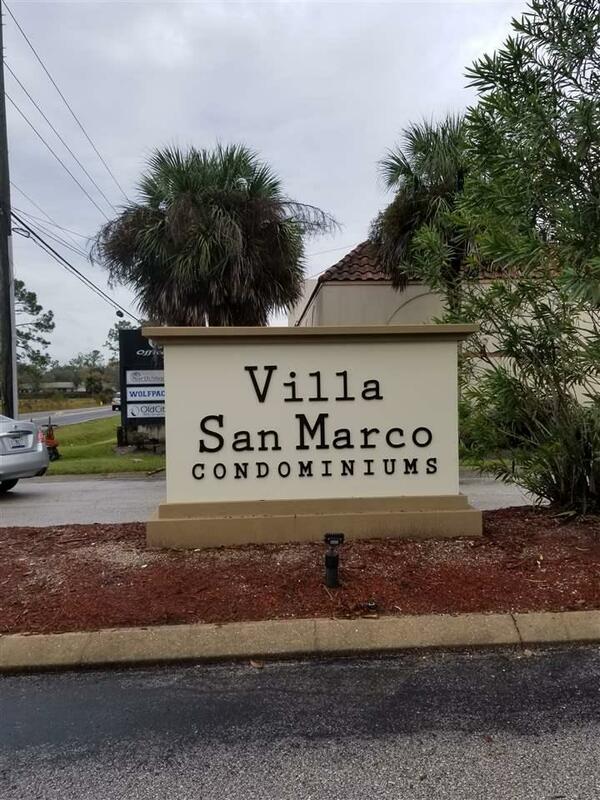 VERY NICE 1/1 GROUND FLOOR CONDO IN VILLA SAN MARCO. FULLY EQUIPPED KITCHEN, WOOD LAMINATE FLOORING IN LIVING AND DINING AREA. CONVENIENTLY LOCATED WITHIN MINUTES OF UNIVERSITY OF ST. AUGUSTINE AND FLAGLER HOSPITAL. CLOSE TO MANY SHOPPING AND DINING VENUES, HISTORIC DISTRICT AND ST. AUGUSTINE BEACH. IDEA INVESTMENT OPPORTUNITY. TENANT OCCUPIED THROUGH APRIL 2020. CALL LISTING OFFICE FOR APPT. TO SHOW. Assoc Maint Fee 186 Bank Corporate Owned YN No Cdd YN No Hoa Term Monthly Hoa YN Yes Homestead Exemption YN No Short Sale YN No Source Of Measurement Tax Records Special Assessment YN No Stories In Building 1 To 3 Tax Year 2018 Taxes 1100 Zoning Res.